I think we have fallen in the ever widening, deepening, sickening pit of “selective bias.” This happens when all reviews never go above 89 or below 82. You start reviewing what you know you will like and forget about the whiskies you truly wouldn’t drink even under threat of violent death. Today’s selection is by no means universally hated, nor is it an inherently bad whisky, despite the fact that this review’s present author wouldn’t drink it even with a loaded gun to my head, held there by my worst enemy. 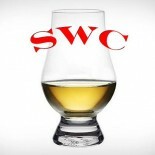 And to prevent any possible litigation from Bowmore’s lawyers, let’s stop with the smart assery and get to work, because we at the SWC are all about business. Nose- Sherry heavy with raisins, dates, sweetly rich with cherries and dark chocolate. Coffee. Subtle peat with bacon. With water, smoke comes out. Taste- Overpowering cherry cough syrup. Cocoa. Medicinal and funky. Finish– Smoke and dark chocolate. Dull, no decent appearance of flavor. Short length. Comments – Overall dull and unremarkable. 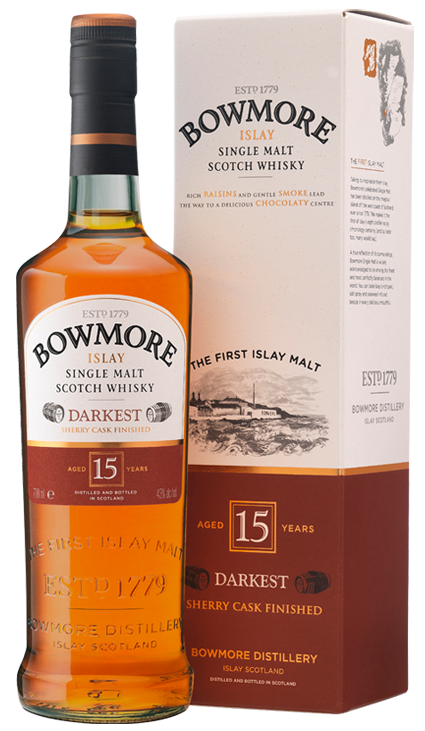 Sherry is a bit overpowering and unbalanced with the competing house quality of Bowmore, which we are fond of. At best a good cigar malt. We’ll pass.